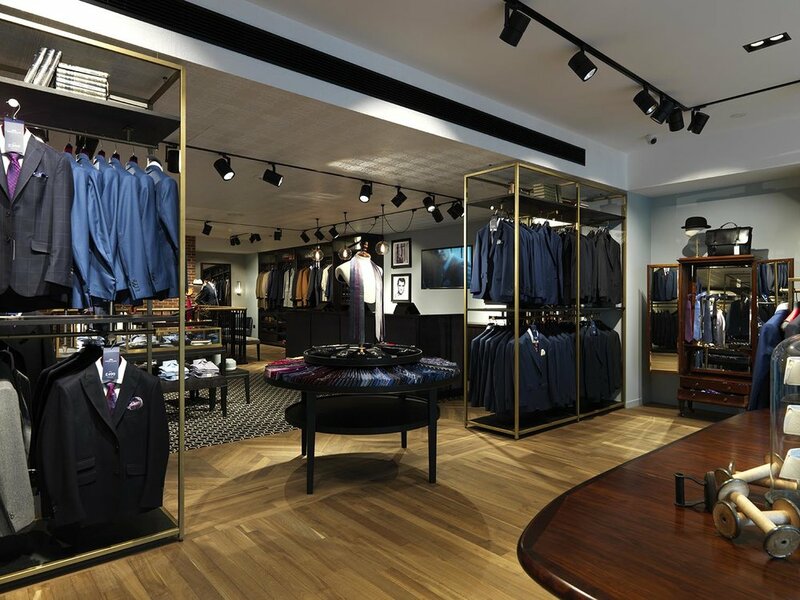 Bluebottle created a new concept for Hawes & Curtis’ flagship store on Oxford Street. Through the use of an open wardrobe concept for the wall units, with inset rugs and carefully selected props, we have created a lifestyle clothing store for this historic brand. Bespoke dark stained timber joinery, patterned inset rugs and tiling, sleek golden detailing and fluted glazed panels – all these design features allowed us to achieve a cohesive, atmospheric and textural interior that meticulously aligns with the general brand aesthetic. 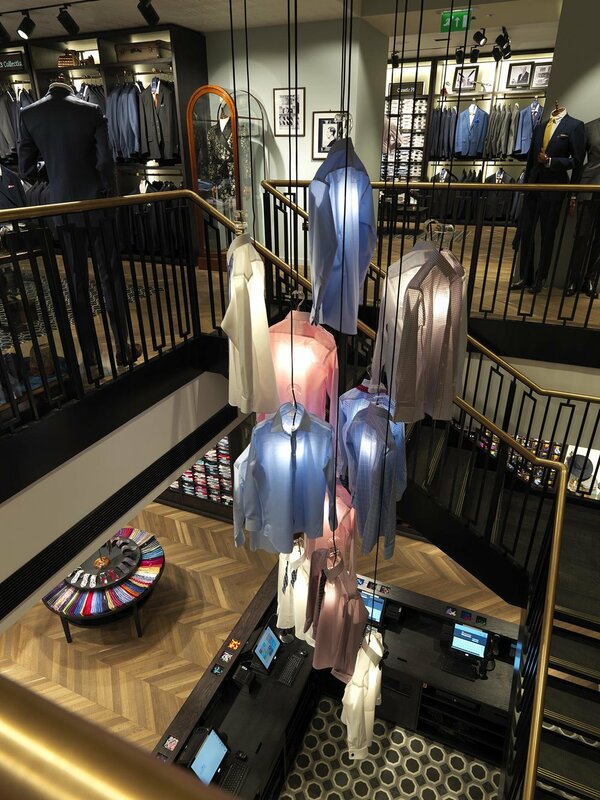 The immense, newly installed metal staircase became the key feature of the space, and the white illuminated hanging shirt installation allowed for an exciting floor transition.